It’s important to keep your feed room locked and horse proof for many reasons. Even if your horse over eats horse feed, serious complications can be the result. A horse who eats too much feed is at high risk for developing colic, laminitis and intestinal upset. These and other problems are even more likely if your horse eats feed intended for another type of animal. 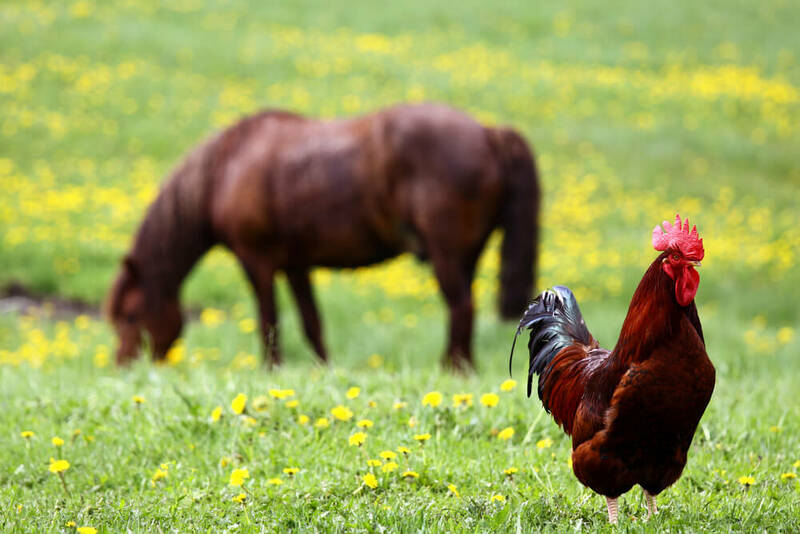 In this article, we explore the results of a horse eating chicken feed. We also offer good advice to help you deal with this problem quickly and effectively should it occur. Read on to learn more. When you discover your horse has eaten chicken feed, naturally the first thing you should do is separate the horse from the feed and determine how much he has eaten. Try to determine how long ago your horse ate the chicken feed. 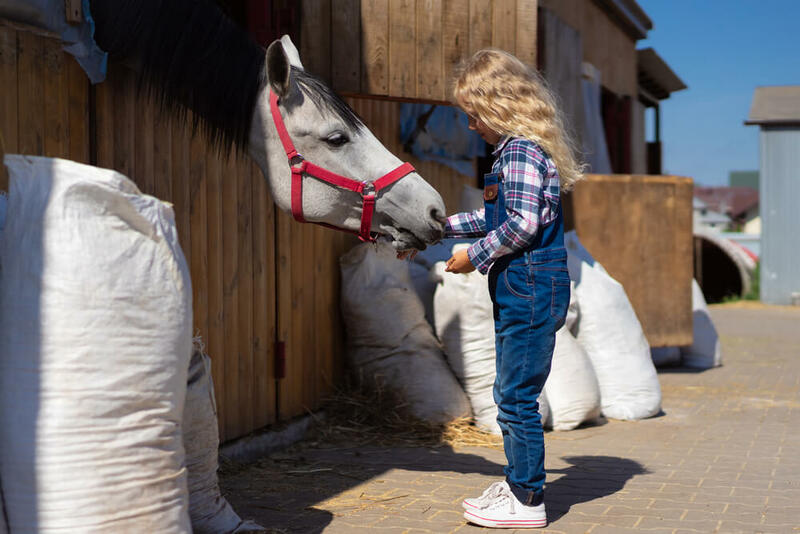 Your horse will probably not experience immediate problems from eating chicken feed, so knowing how long ago the feed was consumed will help your vet understand what signs and symptoms your horse might be exhibiting at this point. This will help your vet to determine whether or not an immediate visit is necessary. Determine whether or not the feed your horse has eaten is medicated. It’s a good idea to keep the ingredients panels from all the feeds you keep stored in your feed room. This gives you quick reference in case of accidents or emergency. If chicken feed contains medications, it will naturally be the types and dosages of medications intended for chickens. A horse who consumes these medications may be in for some trouble. Be aware of all the ingredients in your chicken feed. This is just another good reason to cut out the ingredients list and keep it on file. Horses don’t digest common chicken feed ingredients such as whole wheat and cracked corn well. Ingesting these grains can cause imbalances in the hindgut leading to intestinal upset. It’s also smart to know how the feed has been processed. Look for words such as extruded, steamed or cracked. The processing of the feed will make a difference to your horse’s ability to digest it when it reaches the hindgut. Check your horse’s vital signs before you call the vet. It will help your vet to know your horse’s temperature, respiratory rate and pulse. It’s smart to learn how to take these signs on your own and take them on a regular basis so that you’ll be familiar with your horse’s baseline readings. The next thing you should do is give your vet a call. When you speak with your vet, he or she will ask you a few questions and give you advice to help you assess the situation and deal with any potential problems. Even if it seems as if your horse is not in ill health and has not eaten very much chicken feed, you should let your vet know. He or she may not choose to come immediately, but a heads-up will give your vet the opportunity to make plans around your potential emergency. What Can Happen To A Horse Who Eats Chicken Feed? Intestinal upset, diarrhea, colic and laminitis are not the only things you have to worry about when a horse eats chicken feed. Feed intended for chickens may be filled with additives that are very toxic for horses. Ingesting large amounts of these can cause heart damage. If your horse develops very light signs and symptoms, you may be tempted to stop treatment right away. Don’t be fooled, you should continue treating your horse as your vet recommends for a minimum of two days. If your horse does develop colic or laminitis, it can take a very long time to recover. Even when your horse seems to be completely recovered from consumption of chicken feed, you should be on the lookout for signs of heart damage. These can take a long time to develop. All-in-all, if you find that your horses eaten chicken feed or any other foreign substance or too much of his own feed, you must get in touch with your vet right away, follow his or her advice to the letter for the time period indicated and remain vigilant to any signs and symptoms that may turn up later on. Will My Horse Recover From Eating Chicken Feed? 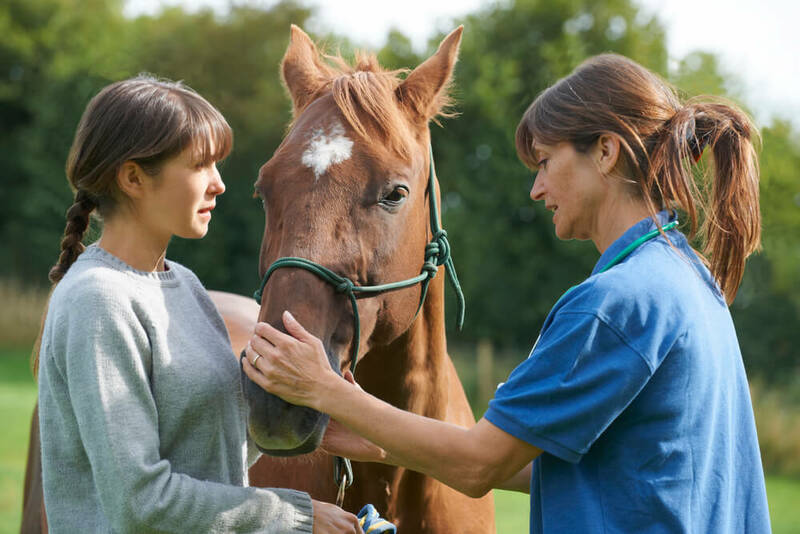 Luckily, if you assess the situation quickly and accurately and get in touch with your vet right away, your horse’s prognosis can be greatly improved. It’s important to get your horse away from the feed, take his vital signs, gather your information and call your vet right away. Doing so can mean all the difference in the world between a horse suffering from colic and/or laminitis or heart damage and one who recovers easily.